Those who believe in appeasement of the mullahs need to begin deal with the reality. They are not interested in negotiating, they are not interested in accommodation, they are not interested in peace. They have said it, we have only to listen. Every nation will make its own decision and take a stand. I join Mrs Rajavi in congratulating the people of France for uniquely having the courage in Africa to take a stand. If France stands alone in the fight against terror, France stands in good company. 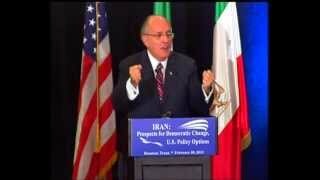 In my country, as in yours, as in yours, a broad coalition has formed in support of the MEK. Not simply because it is a good alternative to the mullahs in Iran, but for a better reason. It is the only alternative. The mullahs have destroyed all internal opposition. What the world community needs to do is to get behind an opposition group that has the means, the leadership, the resources, that is willing to do the sacrifices to destroy the regime and build a democratic Iran. 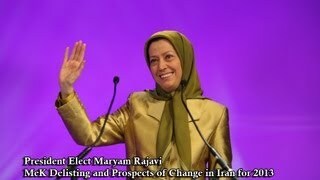 As I look at the alternatives, it is not that I see few, it is not that there are many, but that there is one, the MEK. For that reason and for that reason alone, in my country as in yours, there is a rising chorus of support for the MEK to continue its fight for a free and democratic Iran and end this regime in Tehran now. Today the road to a free Iran leads through Baghdad. Because when the history is written of a free Iran, what happened last week will be seen as a seminal moment and an important battle. The seven who died were not simply civilians killed by accident. They were soldiers in a fight to free their country and they were killed purposeful. But the attack was not only on them alone. Camp Liberty were to be protected by the United Nations. The attack on Liberty was an attack on United Nations, its members, its permanent members, the Security Council, France, the United States, Britain, Russia, China and every nation that sat on that council and lend its voice to United Nations protection of the people of Liberty. They were not attacked, you were attacked, it was the United Nations. And I ask you, where is the outrage by the members of the Security Council that their honour, their commitment was attacked by the mullahs of Iran and the complicitors benefactors in Baghdad. So today, we demand security for the people of Liberty. And we would listen to any idea. The fact is that the Iraqi government has already answered our question. They’ve at least had the honesty to admit that they cannot protect Liberty, because it cannot be protected from themselves. In the absence of any idea, I have heard only one. Return the people of Liberty to the one place where they can be safe, the homes they built and paid for themselves. Return them to camp Ashraf where they can live in safely. Before they do, I have no right to speak for the United Nations, I claim no right. But there is one decent thing to be done to all those who listen to our voices in hospital beds in Baghdad. Let me say to you what the United Nations has not had the decency to say for itself. We apologies to all of you who have suffered and died. It should not have happened. You were promised it would not happen. We will not forget that you were let down. Until the people of the United Nations that have the decency to apologies to you, we do it for them, we are sorry for your sufferings. 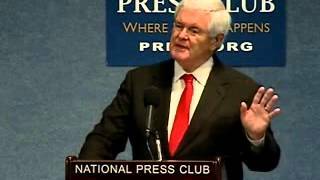 I know simply one supporter of the MEK, we have tried to do everything we can to help. Last month I went to Baghdad because the Iraqi government and the United Nations told me I was wrong about camp Liberty and its conditions. So I went to see for myself. But they would not let me in. They’ve told me that I was wrong about the situation in Ashraf. So I went to see for myself. But they would not let me in. They told me that I was misunderstanding the Iraqi government. So I went to speak with them but they would not meet with me. They told me that I was wrong for asking for justice and the payment of the property of the people, of camp Liberty and Ashraf to be repaid for their property. So we went to hire lawyers to talk to them but they would not guarantee their safety. What else would you want to have us do? Sometimes when the facts are looking at your face you just have to accept reality. The government in Baghdad is not interested in security, it is not interested in safety, it is not interested in justice. If the people of Liberty are going to be defended it is because the International Community decides it will not tolerate their abuse. That is simply the reality of the situation. Finally I will tell you, in leaving Baghdad I was not proud to say to myself that when I had been there previously it was as an American senator, supporting a war to end Saddam Hussein, with the belief that democracy would be brought to the people of Iraq. One trillion dollars later, thousands of American deaths, thousands more maimed, tens of thousands of Iraqis killed, we have produced a government that has sold the sovereignty of its own nation to the mullahs of Iran, complicitors in the murder of innocent people, stealing the liberties of those it was sworn to defend. It is not an easy thing for anyone to admit they were wrong in the extent that it cost of lives. All of us who were responsible for bringing Maliki to power so he can sell out his own countries to the mullahs and extend the Iranian war on decency in the world. We were wrong. We were wrong. And those in Liberty are the front line of the consequences of our errors. All we can do is to commit ourselves to avenge it, to change the circumstances and to turn the tide back, not simply in Iraq but all the way to Tehran. For that you have our lifelong commitment, of our honour and our lives. Thank you all, thank you for the honour of having me here today.